Contrary to popular belief, police are not allowed to randomly arrest anyone they want to. 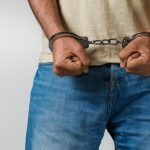 There are a number of rules that govern the circumstances in which police are allowed to arrest suspects, and what the procedure is once they have been arrested. Legislation varies from state to state, but if you believe you have been a victim of false arrest in NSW, you have a few options available to you. False arrest, also known as wrongful arrest, happens when police arrest you without having reasonable grounds to do so. According to the Law Enforcement (Powers and Responsibilities) Act 2002, police are required to have reasonable grounds to suspect that you have committed an indictable offence, or are in the process of committing an indictable offence, before they can arrest you. 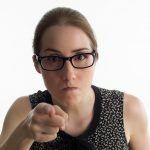 There are certain guidelines surrounding reasonable grounds, and what is considered sufficient grounds for a police officer to arrest you if you are not directly committing an offence. A few things that don’t count as reasonable suspicion include being in the presence of known criminals, or appearing nervous or agitated during routine procedures, such as random breath testing. It is also illegal for police to arrest you for questioning about a crime you were not directly involved in, or to use excessive force while arresting you. 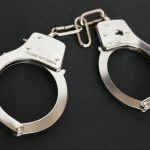 What can I do if I have been wrongfully arrested? If you have been falsely arrested, you should speak to a lawyer as soon as possible. There are a few different options available to you, including making a formal complaint and starting legal proceedings against the police officer involved. If you wish to make a formal complaint against a NSW police officer you can do so in writing. Your lawyer can help you write and lodge a letter of complaint if you are unsure what to do. Once you have made an official complaint, NSW Police should keep you informed about the progress and any action taken against police officers as a result of your complaint. If you feel that your false arrest in NSW caused ongoing injury or harm, you can initiate legal proceedings against the officers involved in the civil court. If you are considering this option, make sure you speak to a lawyer first. If the court rules in favour of the police officers, you may be required to pay legal costs, so it is important to do everything you can to strengthen your case and ensure the best possible outcome. 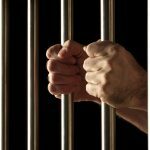 Litigation can be a good option in cases where you sustained ongoing physical or psychological damage as a result of being wrongfully arrested. Your lawyer can help you decide whether to request compensation, and help you gather professional evidence to support your case. 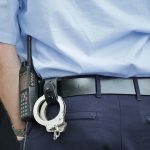 If you have been falsely arrested in NSW, it is important that you take action to ensure the officers involved are penalised accordingly, and that you get any compensation you are entitled to. An experienced criminal lawyer can help you evaluate your options and decide on the most appropriate course of action.